Just to be a little different, going to do some gear reviews every now and then. I got the Manfrotto 230 snow shoes after meeting someone in Hamelin Bay, Western Australia shooting with a medium format camera. 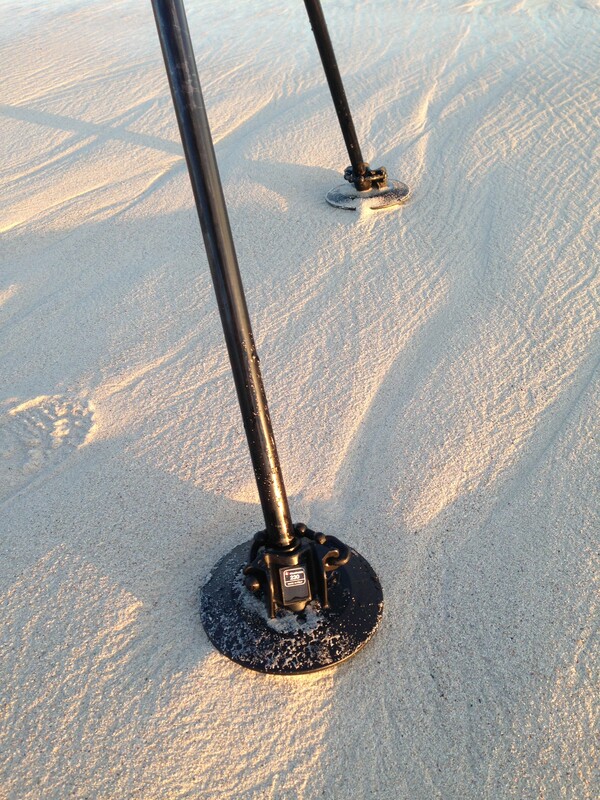 What they do is to increase the surface area of contact between the ground and the tripod to improve stability. Especially useful when shooting seascapes. 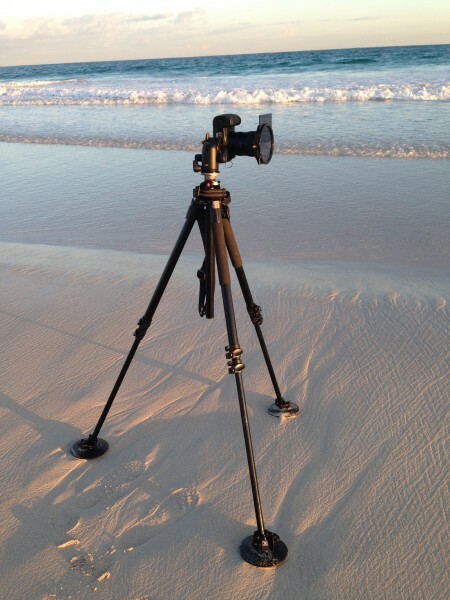 I have found them to be quite good in improving the tripod stability in light surf – with the waves covering over the feet of the tripod where otherwise the erosion of sand under the tripod legs would mean a long exposure is problematic. I got hit by some stronger waves – going up to my knees (I’m 6’1″) which caused the tripod to shift. I don’t think anything other than concrete blocks would have stopped that. A couple of annoyances – is that the feet ultimately don’t clip on too well, so when lifting up the tripod have the risk of leaving the feet behind. Best not to be done when a wave is coming through otherwise it might wash away. Also make sure a separate bag is brought along as they will get wet and sandy. Cost me about AUD 50 – for me, I feel they are annoying but worthwhile. Now someone once told me – why don’t I just tie some thongs onto the bottom of my tripod.